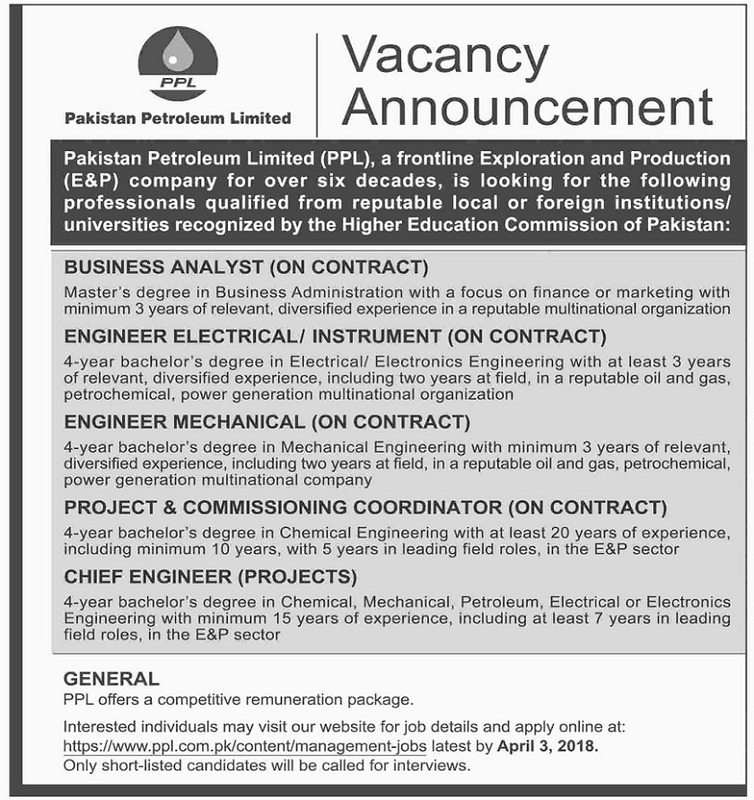 Pakistan Petroleum a front line exploration and production company invites applications from competitive individuals for the following positions. Apply online at PPL website. For more details see the advertisement given below.